Aberdeen’s Lord Provost Barney Crockett is proving big in Japan – hitting the headlines in the Far East after signing a trade deal. 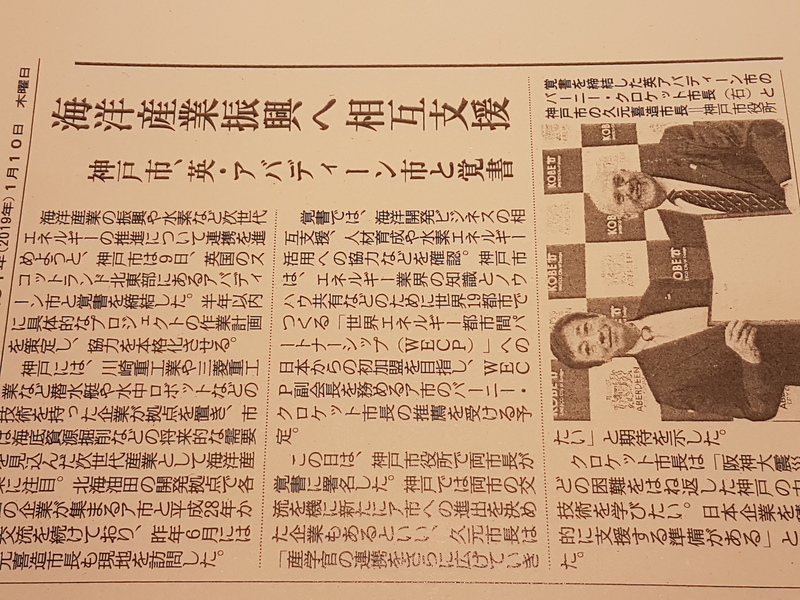 Mr Crockett jetted off to the land of the rising sun last week to pen the memorandum of understanding with the city of Kobe. And although the Aberdeen Labour member for Dyce and Bucksburn is used to press attention at home, he admitted that the coverage in the Far East was “unexpected”. The city council has big international ambitions ahead of Brexit with officials and councillors taking multiple trips overseas this year. Mr Crockett said: “The press coverage has been amazing and unexpected. 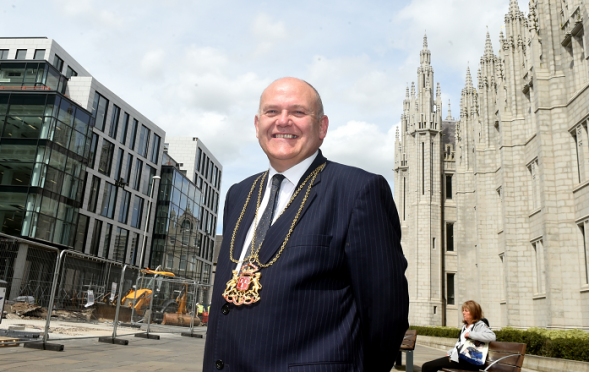 “I have had discussions with politicians here and some of the biggest companies in the world who are all keen to learn about the opportunities in Aberdeen. Other memorandum of understanding agreements have been signed previously with cities in South Korea, Mexico and Columbia among others. Under the agreements, terms are drawn up for collaboration of key industries. Last April, council chiefs drew up travel plans for the year ahead. Among the trips are 12 visits to Belgium for meetings of the hydrogen body HYer, a visit to the Netherlands for a clean bus conference and multiple other European destinations. The total cost has been estimated at £53,600. Markets in Canada, China, Colombia, Mexico, Japan, Kazakhstan, Qatar and others have been identified as “international trade priorities” with visits to the countries either planned or “likely” either this year or next according to the report. Contracts have been signed to co-operate with several cities across the globe including Mokpo in South Korea, Halifax in Nova Scotia and Barranquilla, Columbia. Opposition councillors have previously raised concerns about some of the trips to countries with poor human rights records like Qatar and Kazhakstan. But in times of ever decreasing funding settlements, it is expected that the travel budget will be reduced in coming years.